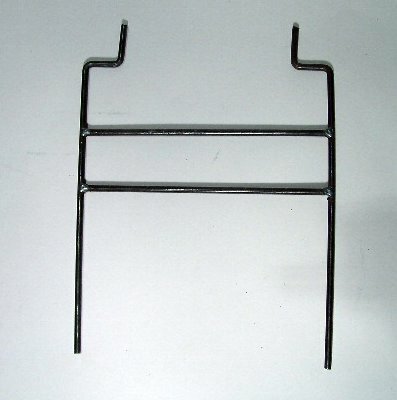 SHORT 220 TRAP STAND 13"
PRODUCT DESCRIPTION: The Short Trap Stand can be used with either a 220 or 330 trap. It is useful in keeping the trap in place and once the nuisance animal is caught since the stand is put in the ground it will keep the trap from being lost, very helpful when trapping Beaver. The bottom side goes in the ground and the trap slides over the long top poles. Designed to keep traps anchored when submerged under water, this stand will allow you to maneuver the trap easily under water 12" deep or less. 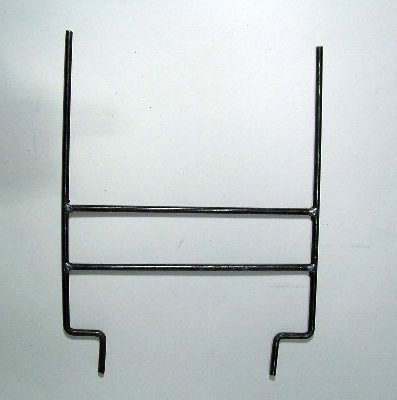 This stand can also be used on land in front of pass through holes (in fences), in front of bank dens or like bucket guards in front of baited containers.